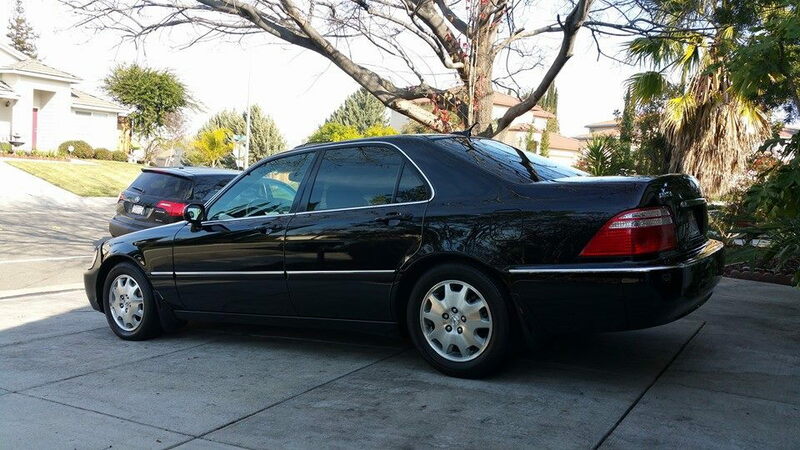 So I just recently bought a 2004 Acura RL with 67k. Purchased it from the Acura dealer (it was traded in). It's fully loaded charcoal grey exterior with black interior. Ive driven about 2k miles, really smooth and quiet ride. I love the car and I'm planning on driving it until the wheels fall off. Do you guys have any tips and suggestions to make sure the car lasts as long as possible? Anything I should keep an eye out or watch out for? Any recommended modifications? Damn with those amount of miles you've basically got a brand new car! As you gain milage you're going to have too worry about the timing belt, also with old vehicles there can be an issue with oil leaks, but regular changes and maintenance should prevent that. Overall the 1st gen RL is a tank and expect hundreds of thousands of miles from it!! Sounds like a sweet car. Post some pics. Like any other Honda, just just need to make sure and keep an eye on your preventive maintenance. If the timing belt hasn't been changed, it's now 14 years old, so I'd recommend that as a good place to start. Congratulations and welcome. I'm sitting on 242k miles with my 2002 RL. Just did all the big maintenance - timing belt, plugs, radiator & hoses, water pump, etc.. I expect another 160k miles, at least. Body and interior still look great, but I keep up w/ my sh*t.
. I also just put in a new Sony receiver with Android Auto & Apple CarPlay. Upgrading the electronics and speakers will make your ride even more enjoyable in that brilliant car! Just don't drive it like a "sports" car or you can expect early engine issues like oil leaks and what not....Its a 4 door Lux SEDAN and not designed for spirited driving.... My 04 with 32K original miles …..
Nice score! Did the Dealer provide you with the maintenance history. That, would be a good place to start finding out, which services, it may require, and when. 67k Miles, Should I drain and change my AT Fluid?